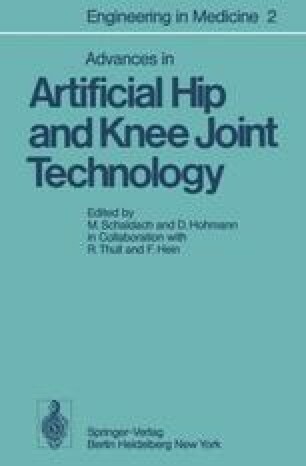 The advances in artificial hip and knee joint technology of the last few years show that, with the implants presently available, the patient can already largely be re-habilitated. The success of the treatment depends not only on the indication and on the implantation technique, but, in addition, also on the nature of the implant used. Questions of design with respect to function and fixation, the mechanical properties of the materials employed, and a knowledge of the interactions of the material with the biological environment, however, continue to present problems. These occasionally involve considerable setbacks and their solution can be achieved only by close co-operation between clinician, engineer and scientist.